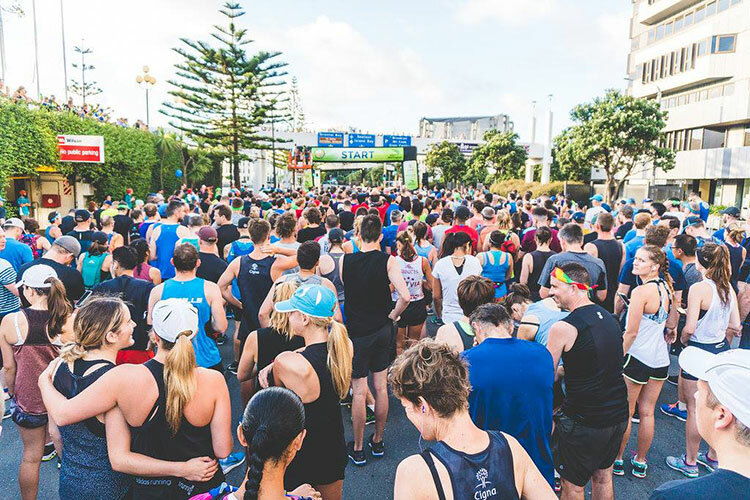 Last month, my nine-year old daughter and I joined the 6.5km fun run/walk in the annual ‘Round the Bays’ event. When we met a friend with her boy at Frank Kitts Park, she said she would happily walk with the kids while I ran the course. I hadn’t trained at all, but how hard could it be? The first kilometre was not so bad. I slowed down to a power walk when we got to Oriental Bay. A guy in a red hat and a green top power walked past me. He was easy to mark, so I decided he would be my pace keeper. I started interval running where I would run a distance and then slow down to a walk, then run again. I would run pass the guy in the green top, then when I felt too hot to run, I would slow down to a walk. When the guy passed me I would let him get ahead a bit before running to keep up again. So far, so good! At the half way mark, I was desperate for water, so I joined the queue at the water stop. Once I threw one cup over my head and gulped the other cup down, I looked for the guy in the green top again. I had noticed that he was now ahead of me, so I started running again to catch up with him. I couldn’t see him in front of me, so I picked up the pace a bit. Finally, I saw his red hat! I slowed to a walk a few paces behind him. My heart was pumping, I was gasping for air and my legs were killing me. But from then on, I kept him in sight all the way to the finish line. It was hard work without training. I’ve never been a runner. Lesson learnt? It’s easier to keep up than catching up (and also train for the race!). The same applies to studying. It’s week two, you have your reading list for each lecture for the next 11 weeks. Develop your study routine now—this would be your training week. Stay up to date with all of your readings, so that you don’t have to catch up later. Make sure you allocate enough time in your study routine to do your readings. You could use the Easter break and the mid-trimester break as the time to reassess where you are in the race and re-adjust your pace and your strategy. Check out the Study Routine Module to learn how to develop your own. Your study routine will be your training schedule, and if you stick to it, you will find that you are keeping up in the race, and you won’t have to play the catch-up game. Laila Faisal is a Senior Learning Adviser—Digital Technology at Student Learning and is completing a Doctor of Education.